These are the first two of a set of Telescope Jigsaw Puzzles (there are more in development). 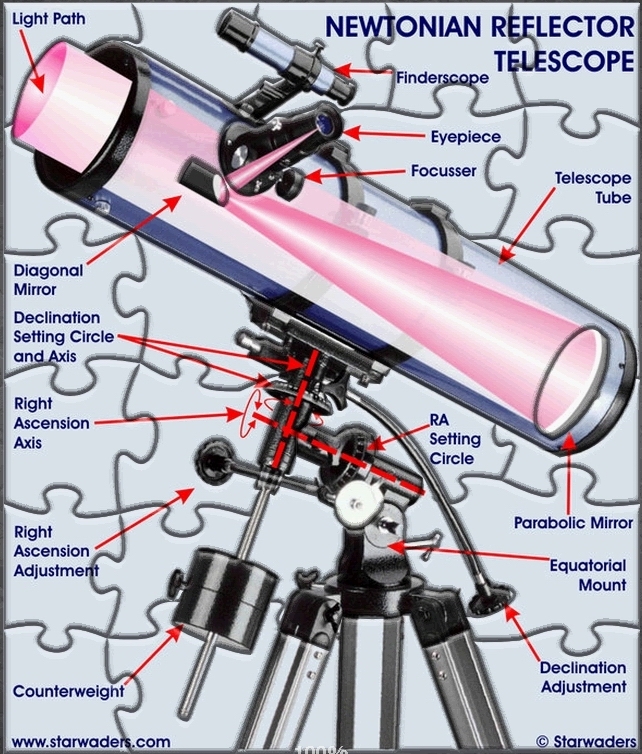 Learn the components of these Telescopes by downloading them FOR FREE! To download the free Newtonian Telescope Jigsaw Puzzle, double-click on the download button and follow the prompts from your browser. 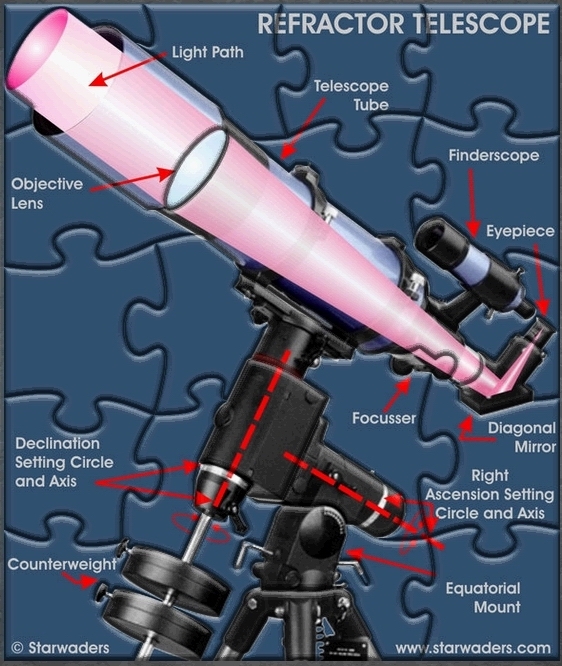 To download the free Refractor Telescope Jigsaw Puzzle, double-click on the download button and follow the prompts from your browser.